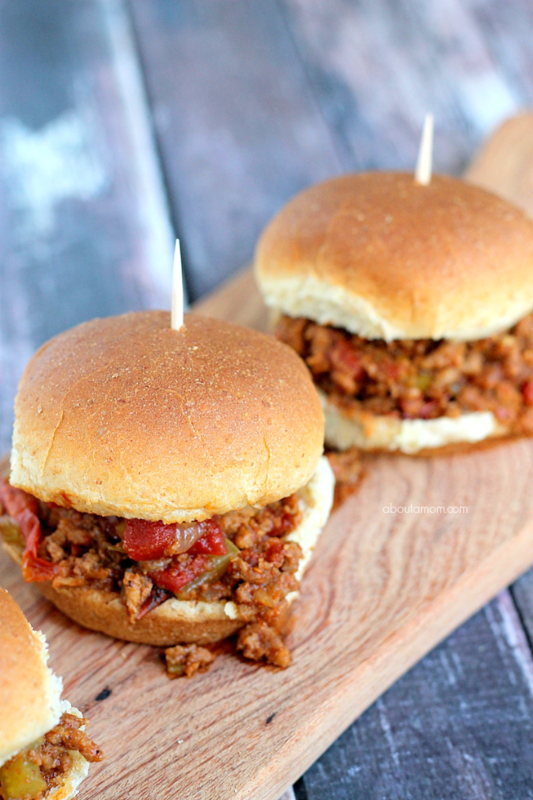 Sloppy Joes are always a crowd favorite and these Slow Cooker Sloppy Joe Sliders are perfect for a party. I know it’s tempting to buy the ready-made sloppy joe seasoning that comes in a jar or envelope, but this homemade version is so much better. It might look like there are a lot of ingredients at first glance, but these are all ingredients you probably already have in your pantry. The best thing about this recipe is that you can put it in the slow cooker in the morning, forget about it, and have a delicious meal waiting for you at dinnertime. 1. In a large skillet over medium/high heat, add olive oil and onions, and celery; stir. Place beef and turkey on top of onions, place top on skillet, and cook for 5 minutes, covered. Uncover, break meat apart with wooden spatula, then continue to cook until browned and mostly cooked through; drain meat mixture; set aside. 2. In the bowl of your large slow cooker, add diced tomatoes, garlic, ketchup, chili sauce, brown sugar, mustard, worcestershire, cumin, chili powder, paprika, salt, and pepper; whisk well to combine. You can easily double or triple this recipe for a large crowd. I like to set up a mini serving bar, that way people can serve themselves the sloppy joe sliders, preventing the rolls from getting soggy. Serve with toppings such as pickles, lettuce, and tomatoes. Enjoy! Yum! Sloppy Joes are one of our favorite dinners! We’ll have to try your recipe soon! Oh, yum! I love a good sloppy Joe! I could eat these all day. Every time i make a dish in the slow cooker it comes out incredible, i love using my slow cooker, the best way to make some awesome meals, and my kids love Sloppy Joes! I love slow cooker recipes. I hate having to heat up an oven during summer. These look super yummy! I love cooking in the Slow Cooker, and we love Sloppy Joe’s and would love to make your delicious recipe. I think this recipe is fun to make and will be making it for a dinner soon. 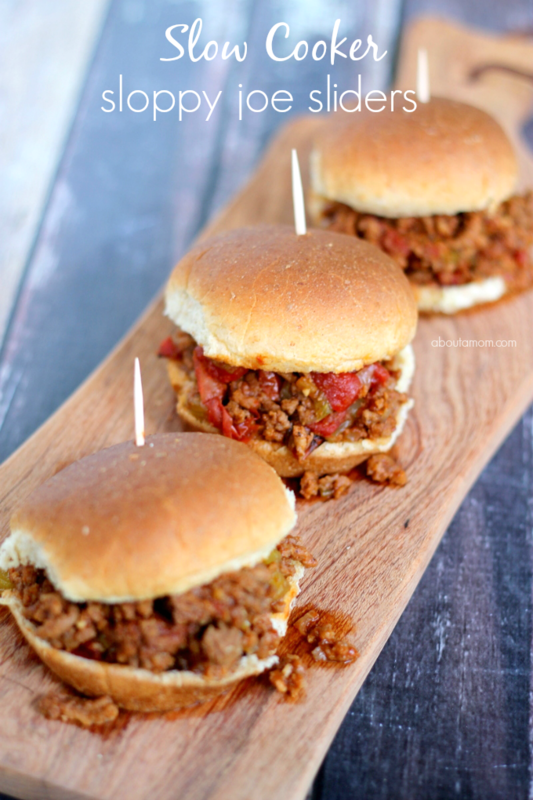 These sloppy joes look so flavorful! I’d love to serve this on the 4th instead of the usual grilled hamburgers we make. Love easy, tasty meals like this! These look so good! I’ll have to give this recipe to my daughter. She got a new crock pot and has been looking for some good recipes. This recipe looked so good, I copied it down. I am due to make it on this coming weekend. I thank you for the share. I have added this to next week’s menu to try it out. I looks like it could be a great feed a crowd recipe. Thanks for sharing. This look so yummy. Thanks for sharing this yummy recipe. Thank you for sharing on the #HomeMattersParty link up and hope you will come back to share again. My family would love these sliders for dinner! Thanks for linking up with What’s Cookin’ Wednesday! 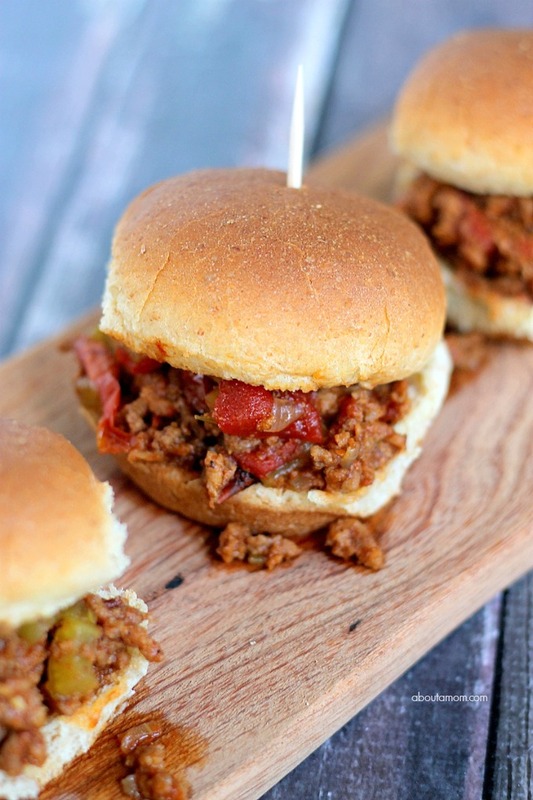 I’m not gonna lie… Sloppy Joe is my kind of Joe! 😉 YUM! This sloppy Joe recipe looks so yummy. I usually buy it in the can but has too much tomato sauce which bothers me now. Even though this has a lot of ingredients would be worth the time to prepare. I have an older slow cooker but not programmable. With this recipe I can leave out some of the ingredients we don’t like. Made these and they were good. A little sweet, though. Next time I’ll use a quarter cup brown sugar.